Emerging style trends on the red carpet at the Golden Globes on Sunday has led to speculation about who will be wearing what at the 2013 Oscar ceremony, which will air live on February 24th. Popular trend forecasts include plaid gowns, fishtail hems, bright colours, and embellishments. Designers that are expected to be worn include Oscar de la Renta (who was all over the red carpet at the Golden Globes), Dior, Louis Vuitton, and of course Versace! Fans of the prestigious award ceremony have taken to Twitter to make their own 2013 Oscar gown predictions. Using the hashtag #AsktheTrend, users have predicted classic black and white gowns, thigh high slits, and orange as some of the main trends we can expect to see on the red carpet. Another Twitter user asked about stars changing into other outfits for their respective afterparties, to which Chan responded that “comfort, fresh photo opps, and another opportunity to wear an incredible designer look” were just a few of the reasons that celebrities double up on outfits for award ceremonies. With the 2013 Oscars right around the corner, it’s time to reflect on the fashion highlights of last year’s Academy Awards. I’m sure no one has forgotten the infamous Atelier Versace gown that subjected Angelina Jolie’s leg to all kinds of media attention. Her leg, which now has its own Twitter account, was one of the highlights of the red carpet – garnering more attention than the ceremony itself! Jessica Chastain was another showstopper in her Alexander McQueen dress. The black and gold brocade of the gown definitely capped an otherwise up-and-down awards season in terms of celeb fashion, winning Chastain an esteemed best-dressed title. 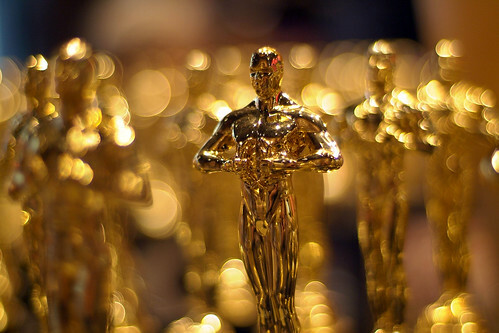 For now we can only speculate about who will dazzle on the red carpet at the 2013 Oscars. Many have suggested that Jennifer Lawrence, Kate Hudson, and Claire Danes are the forerunners for scooping this year’s Oscar best-dressed title based on their current style streak. Bella Gray is a fashion blogger who loves writing and living her style industry highlights online. Gray enjoys writing about any fashion related – from a silk blouse to the latest celebrity trend. A fan of couture and all things related, Gray is the perfect go-to-gal for all your style news and gossip.